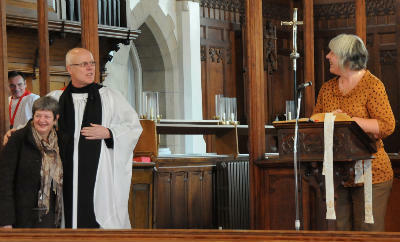 role of Vicar at Langho St. Leonard. As many will know, my four year curacy at St. Peter's was to come to an end in June 2012 and Priests are encouraged, at times like this, to consider their future ministry. For some time I have been feeling God's call to continue to serve Him in parish ministry and found myself increasingly drawn into exploring this call to the parish of St. Leonard's. God always gets His way ultimately and Langho have now got me!! I am excited and daunted by this challenge but it is one I shall willingly and wholeheartedly embrace and seek to perform to the best of my abilities and with God's help. Additonally, I am very pleased to say that I am also to remain as Assistant Curate at St. Peter's Salesbury. 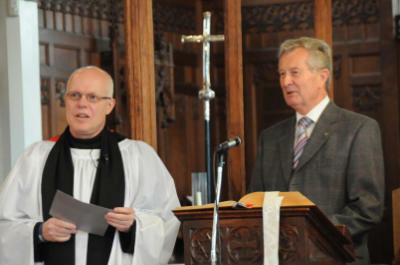 The new priest at Salesbury (when appointed) will have the same role at Langho. My role with you all at St. Peter's will be less than before, but the great work both parishes are doing together will be able to continue because of this appointment and with a greater level of continuity . My date for collation to the post of Vicar at St. Leonard's is set for Wednesday the 2nd May 2012 at 7.30pm. I have thoroughly enjoyed my time with you all, thnak you for your love and support over the last four years and I look forward to it continuing in the future.